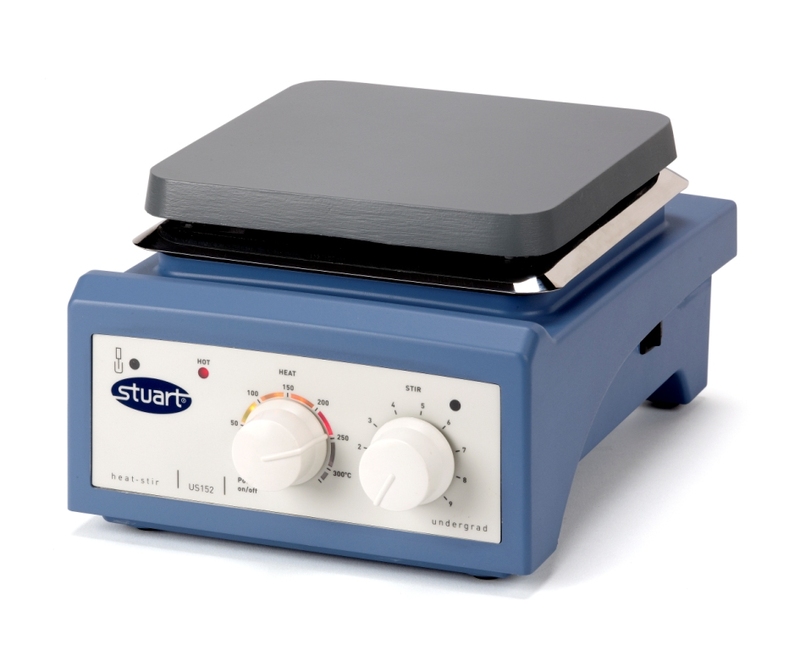 Stylish and economical general purpose hotplate stirrers designed with safety as well as performance in mind. The compact shape takes up less bench space and makes storage easier. 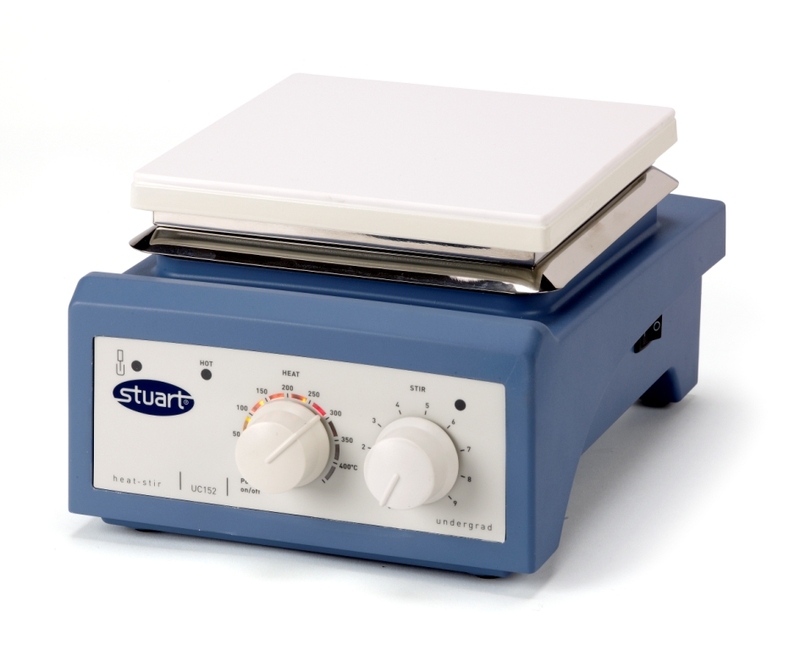 The hotplate has an innovative LED temperature indicator scale and can also be used in conjunction with the SCT1 digital contact thermometer to accurately control sample temperature. 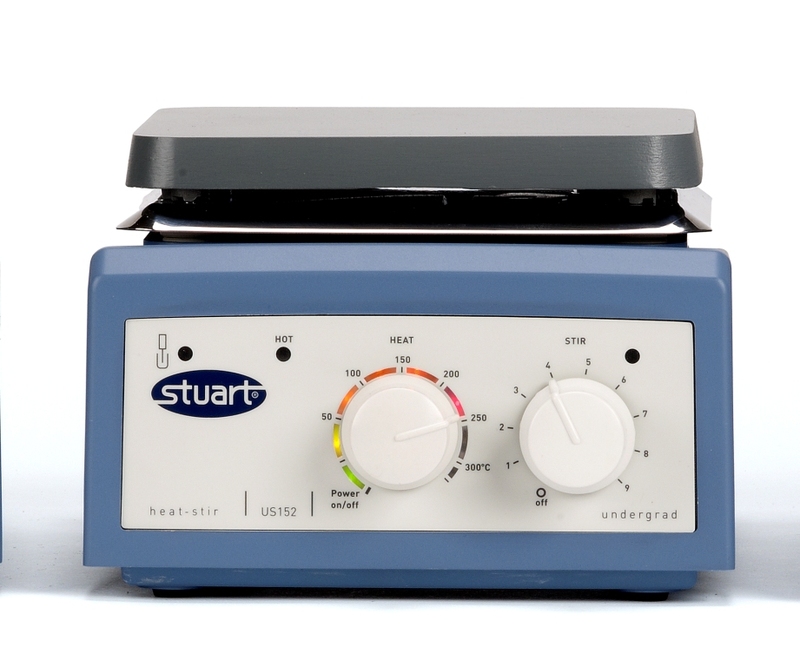 The "Hot" warning light will flash whenever the plate temperature is above 50°C even when the hotplate is turned off and unplugged from the mains. Powerful magnets and motor give stirring speeds up to 2000rpm and is capable of mixing large volumes (up to 15 litres *). Model UC152 has a glass ceramic top which has excellent chemical resistance. The surface is easy to clean and the thermal properties allow very high plate temperatures while ensuring the edges stay cooler, reducing the chance of accidental burns. The white surface ensures good visibility of colour changes. Model US152 has a robust aluminium/silicon alloy top plate for excellent heat transmission. The top plate has a thin ceramic coating for added chemical resistance. A 700W element gives rapid heating and ensures even temperature distribution across the whole surface of the plate. Both models have an integral fitting for a retort rod and are supplied with 2 x 25mm PTFE coated stir bars.